Along with 13- and 15-inch MacBook Pro refreshes at WWDC 2017, Apple's longstanding 13-inch MacBook Air received a processor speed increase. With chips starting at 1.8GHz, this provides users with a 200MHz increase over the Early 2015 MacBook Air. Battery life continues to offer users up to 12 hours of use on a single charge, while the 2.96 pound weight makes it a great option for students and travelers. Consumers can also choose between three storage capacities: 128GB, 256GB and 512GB. In fact, the MacBook Air's PCIe-based SSD storage is up to 17x faster than a traditional 5400-rpm notebook hard drive, according to Apple. Ports include a MagSafe 2 connector for charging, headphone jack, SDXC card slot, Thunderbolt 2 port and two USB 3 ports. 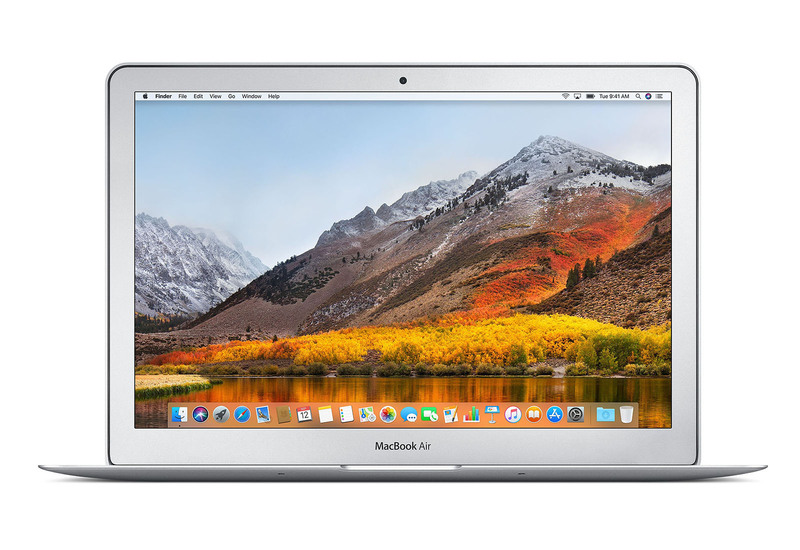 The Mid 2017 13-inch MacBook Air also has a 720p FaceTime HD camera, and the screen operates at 1440x900 resolution. Retail pricing starts at $999 USD and maxes out at $1,549 USD for the 2.2GHz, 8GB, 512GB SSD configuration. We don't have a review for that yet!